Jim Tomberlin began his multisite church journey in the mid-1990s when he was the senior pastor of Woodmen Valley Chapel in Colorado Springs, CO. In 2000 he went on to pioneer the multisite model at Willow Creek Community Church in Chicago. Since 2005 he has been coaching churches in developing and implementing multi-campus strategies. As Founder and Senior Strategist of MultiSite Solutions, Jim leads a seasoned team of practitioner specialists in assisting churches in maximizing their redemptive potential through intensive and insightful multisite and church merger consultation. Jim is the author of “125 Tips for MultiSite Churches” and co-author with Warren Bird of “Better Together: Making Church Mergers Work.” Jim is based in Scottsdale, AZ. You can email him directly at [email protected], subscribe to his MultiSightings blog, or follow him on Twitter at @MultiSiteGuy or @MergerGuru. Tim Cool has assisted more than 350 churches (over 4 million square feet) throughout the United States with their facility needs. He has collaborated with churches in the areas of facility needs analysis, design coordination, pre-construction coordination, construction management and lifecycle planning/facility management. Tim has also been a conference speaker at numerous national conferences and seminars including the national conferences for the NACBA, NACFM, Texas Ministry Conference, and Worship Facility Expo. He maintains his national membership with the International Code Council for building codes. 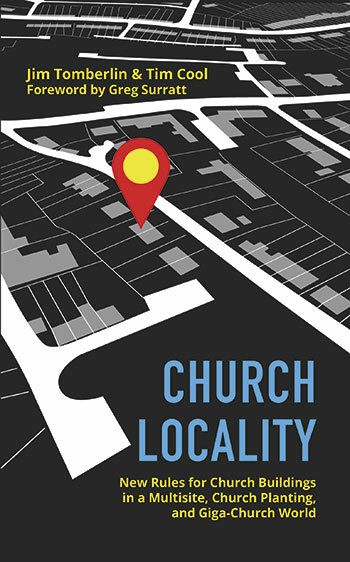 Tim is the author of the book, Successful Master Planning: More Than Pretty Pictures and Why Church Buildings Matter. Tim is married to his best friend, Lisa, and resides in Charlotte, NC with their teenage triplets. They are active members at Elevation Church.